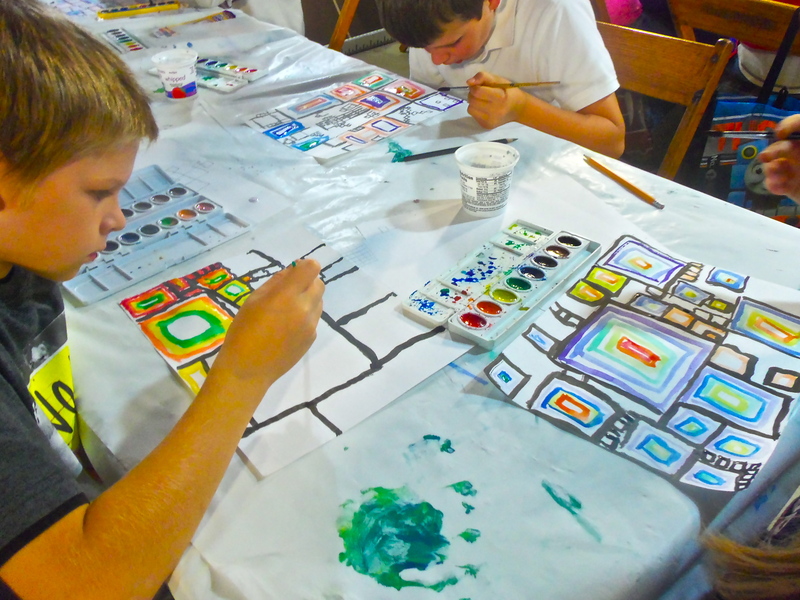 Students in our autumn afternoon art classes explored a variety of methods of making art. 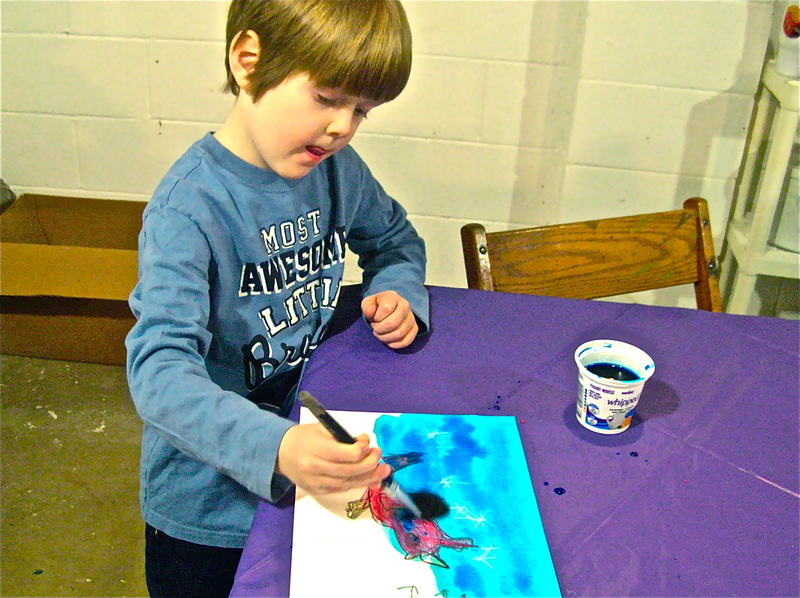 Students learned about balloon painting, the process of using a balloon as a paint brush to begin an image. 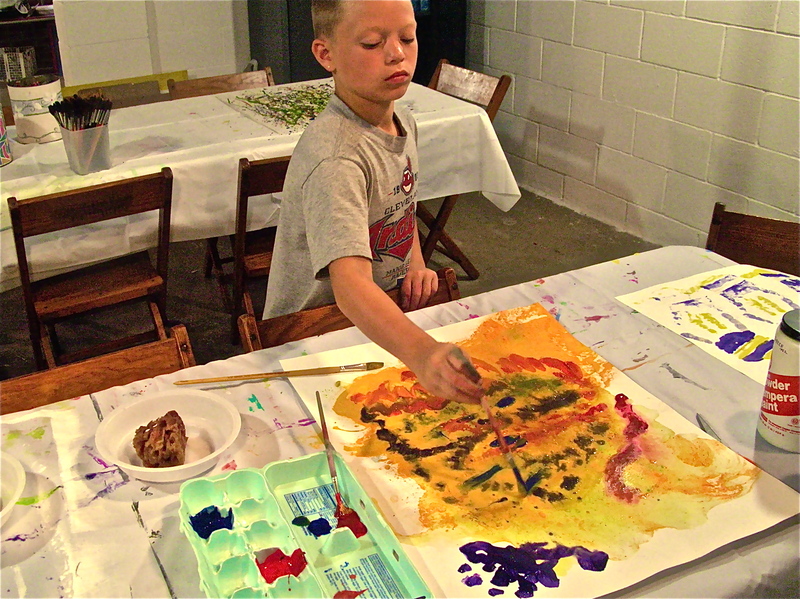 Students also explored collage as a method of making an image. 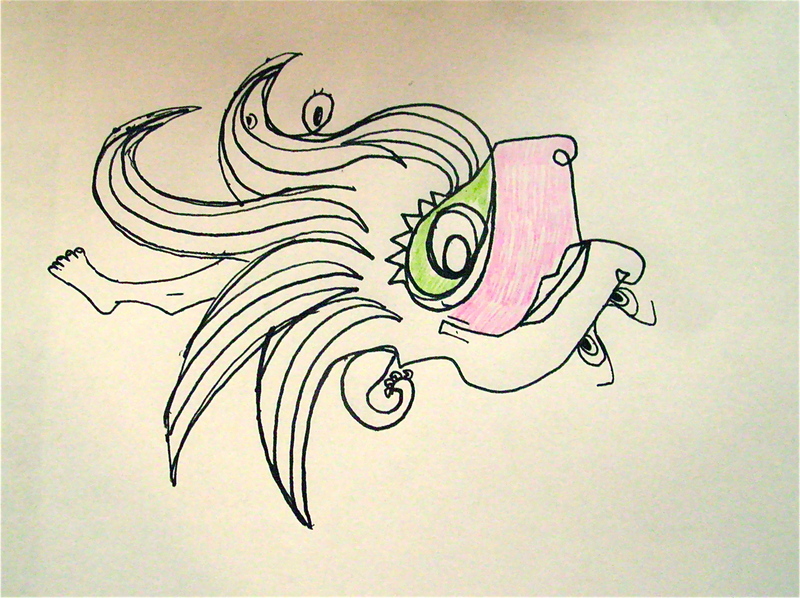 We also developed new skills in drawing. 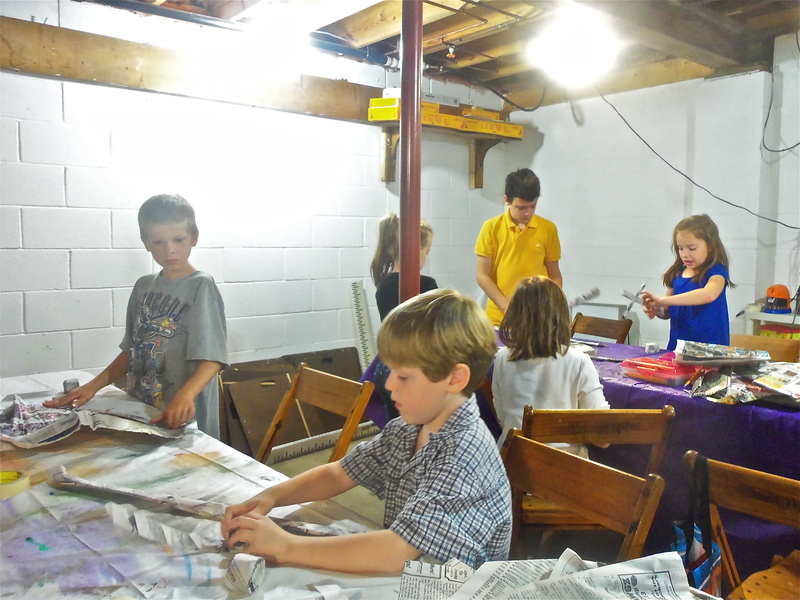 We explored building sculptural shapes using newspaper as a building tool. 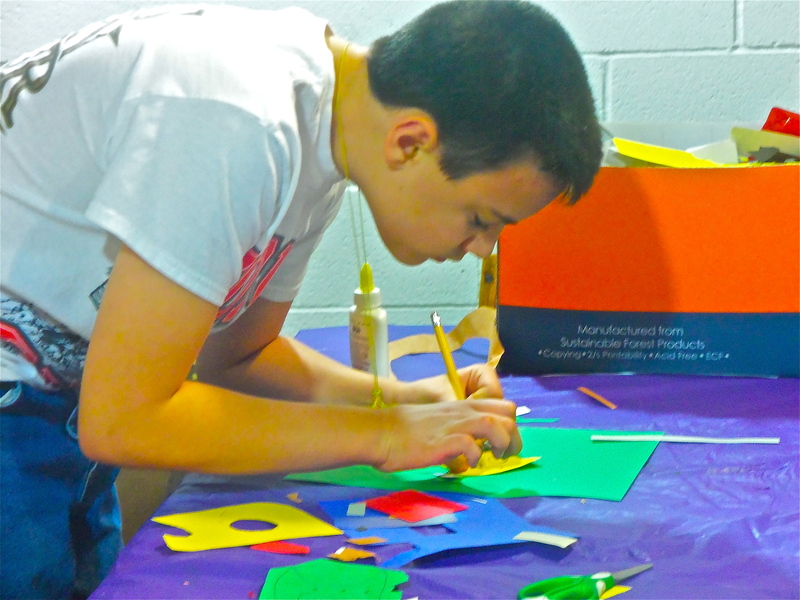 Students pushed their skills into new directions. 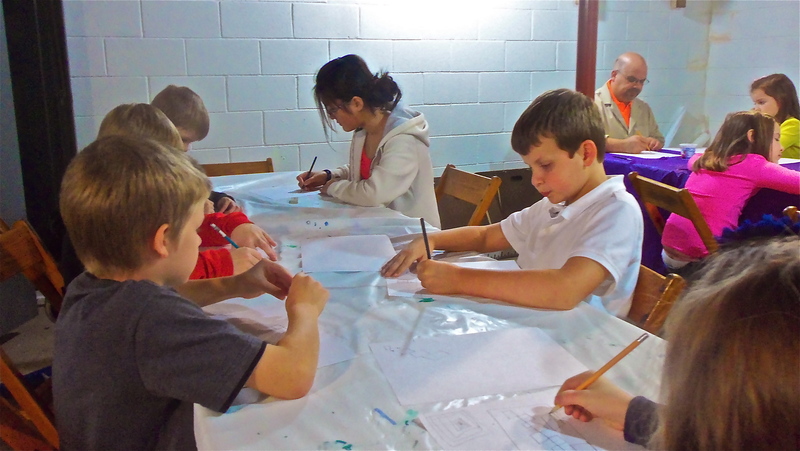 The class gave the students a wide exposure to many varied art terms, artists and mediums. 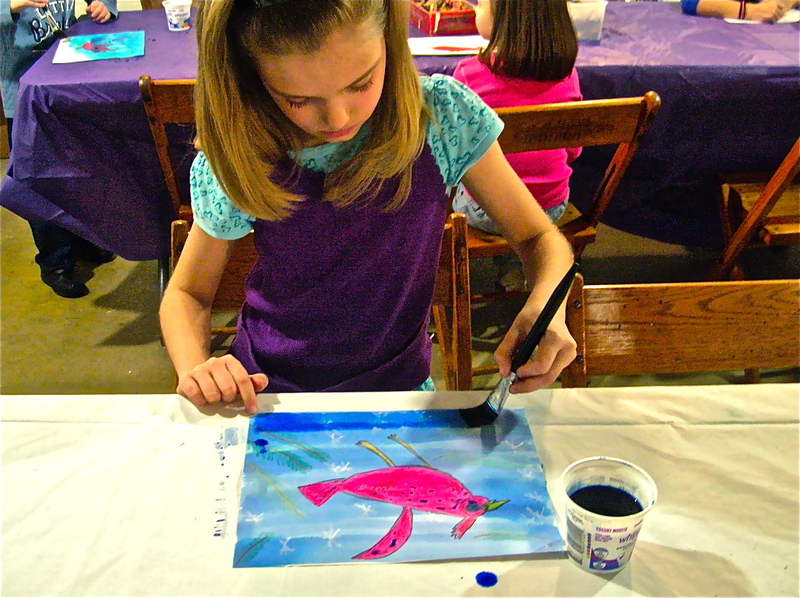 We will be resuming our afternoon classes in mid-January. 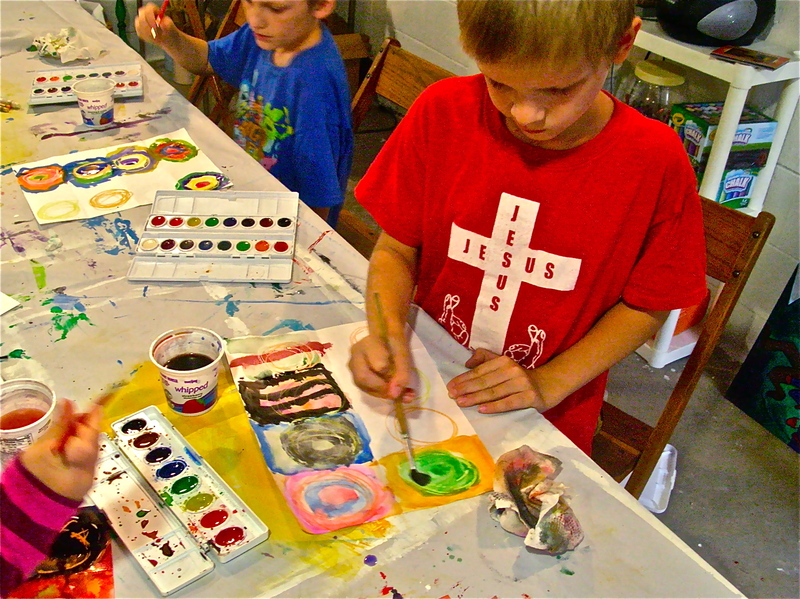 If you have a child who is interested, classes will be on Wednesday afternoons for six sessions. 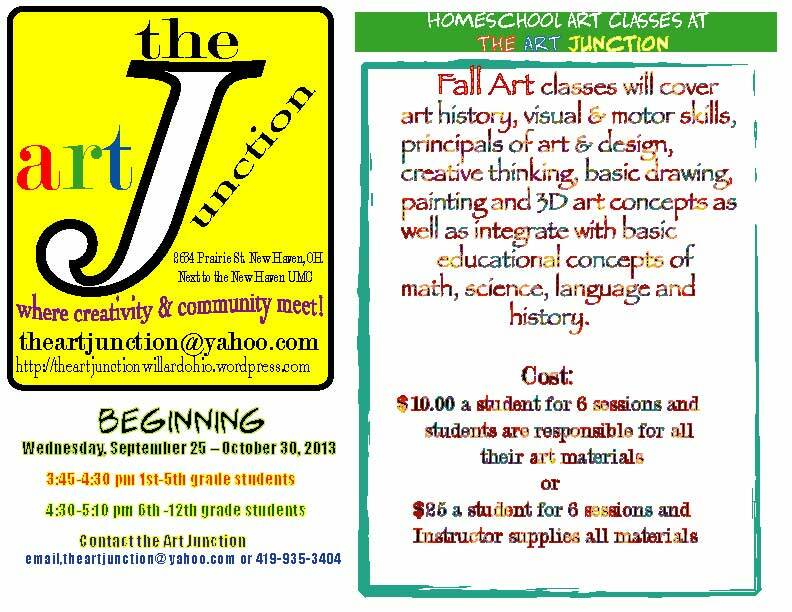 There will be two classes: one for ages 6-11 and the other class for age 12 and up. 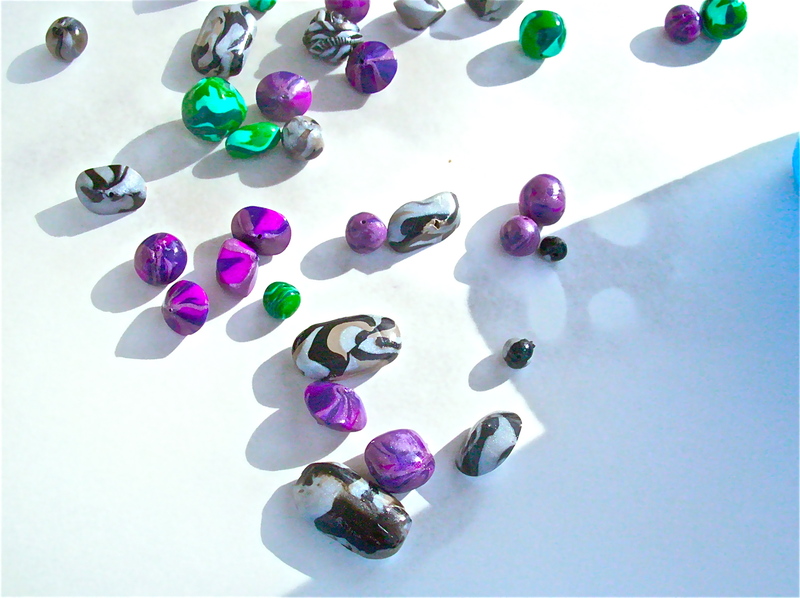 Check back in early January for more information. 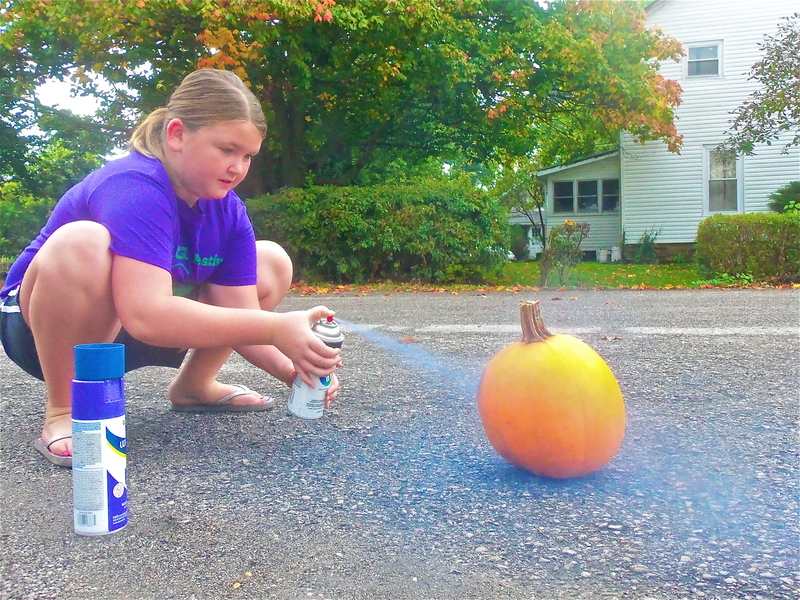 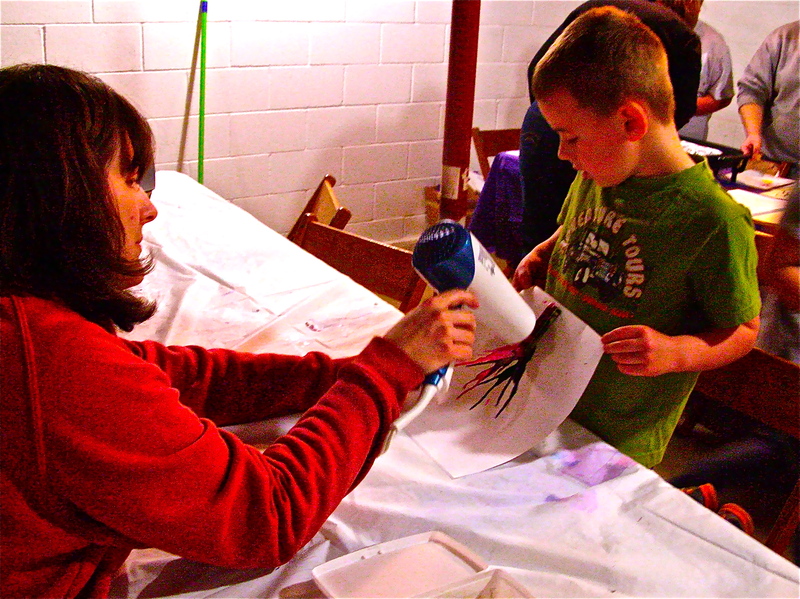 On Saturday, October 5, 2013 we hosted a pumpkin painting workshop. 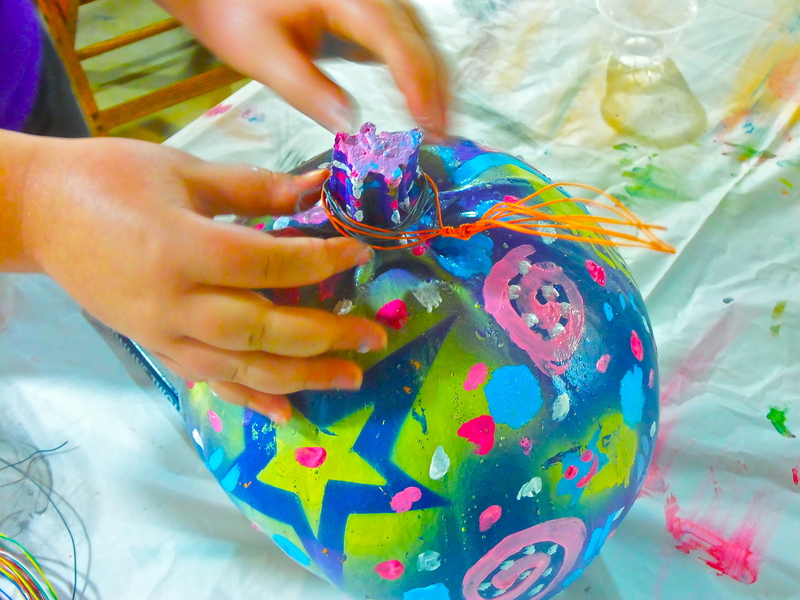 We had a lot of fun exploring new ways to decorate pumpkins. 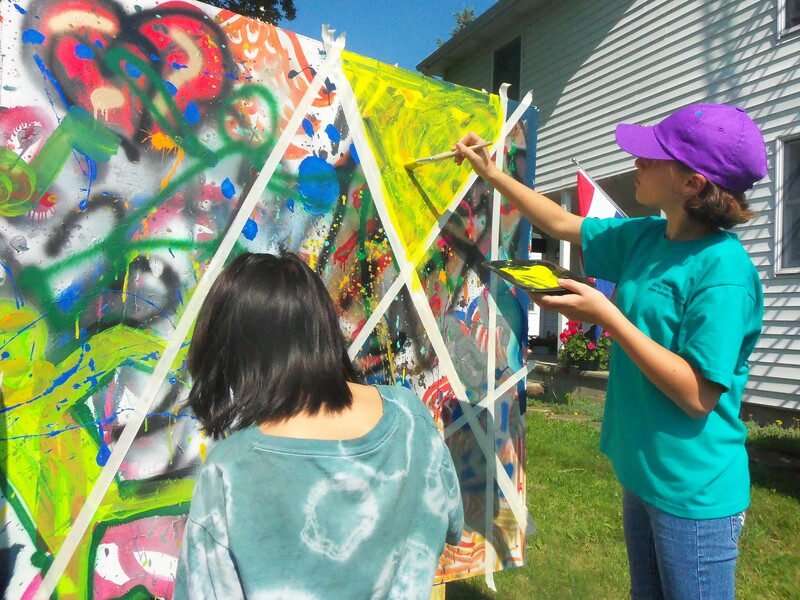 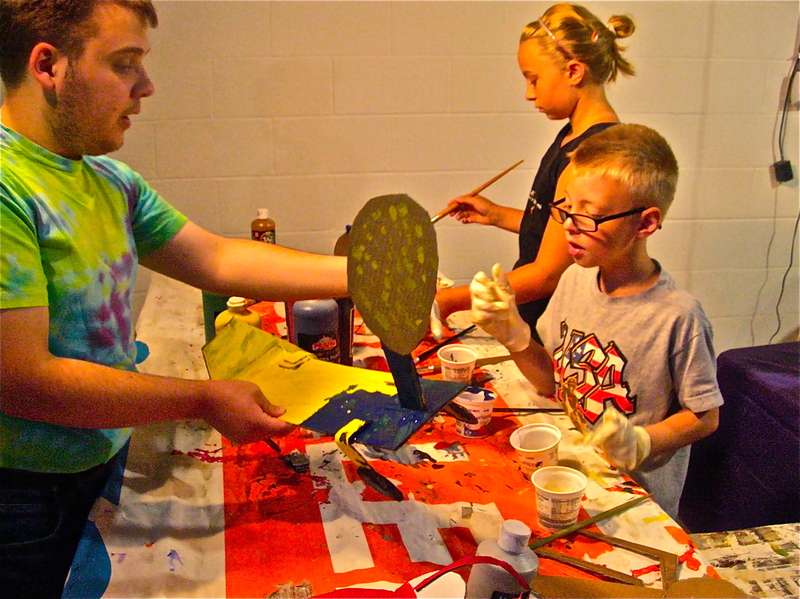 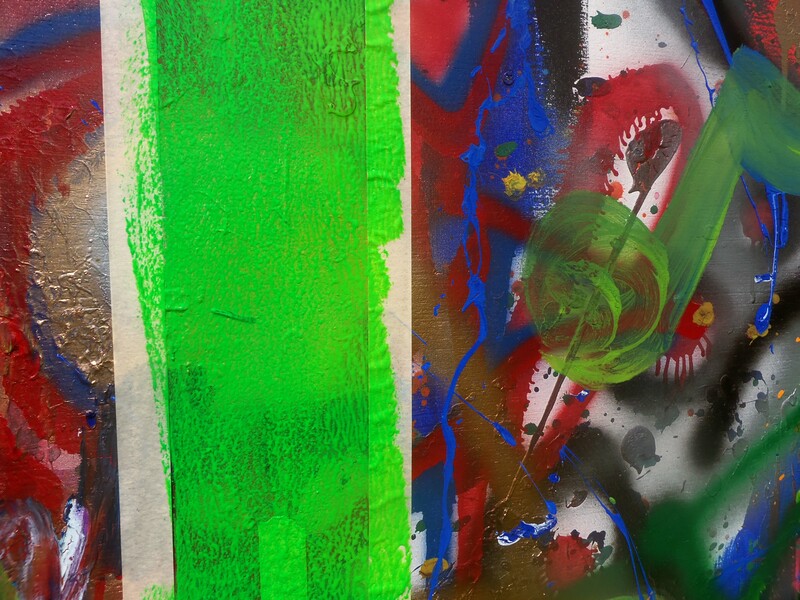 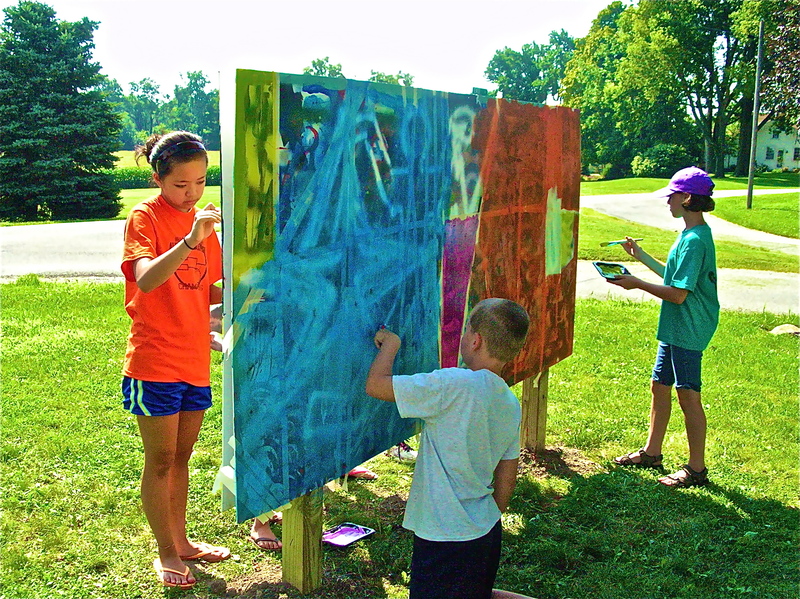 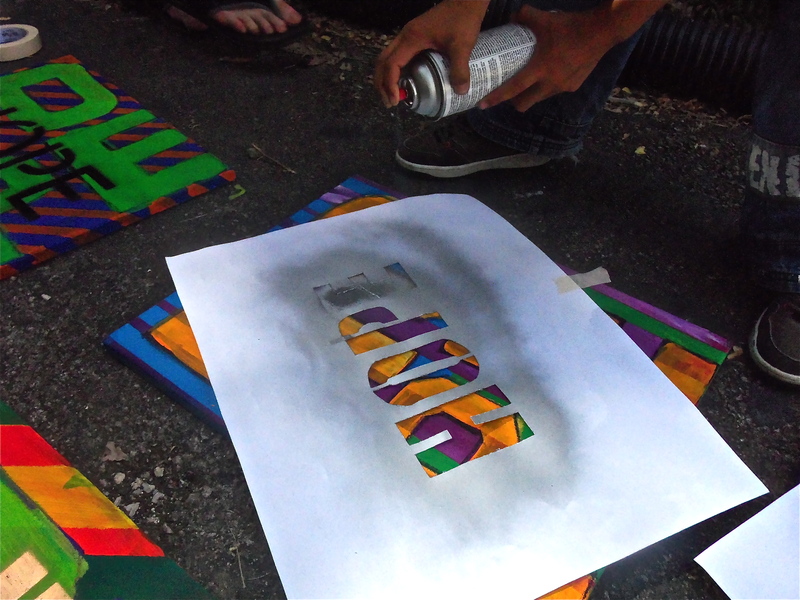 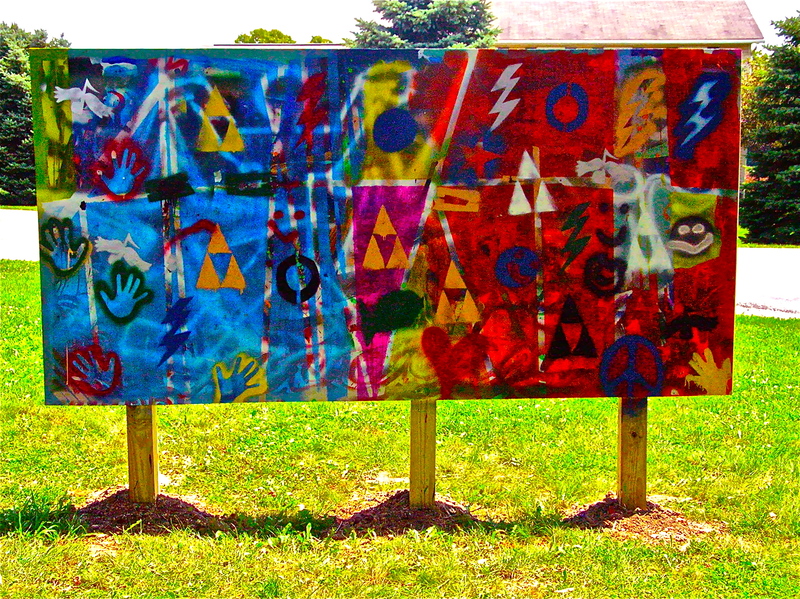 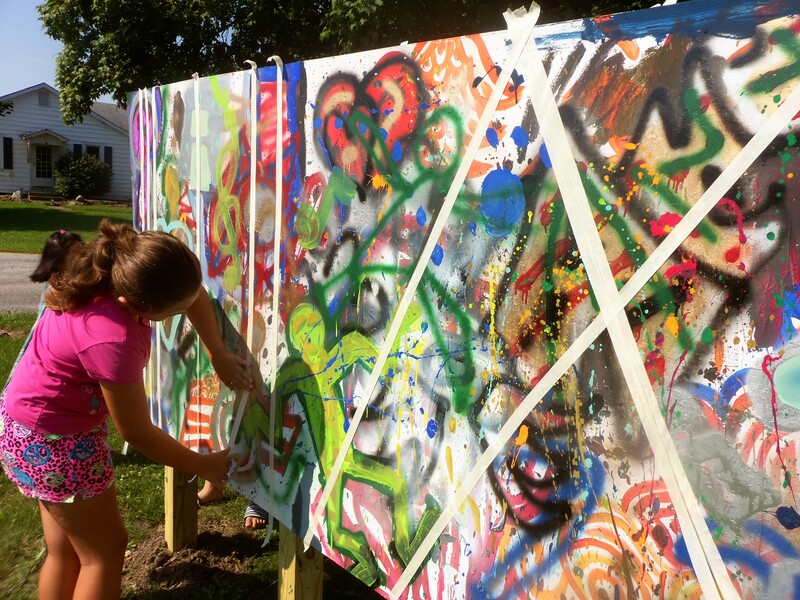 Spray painting was the big favorite for this workshop. 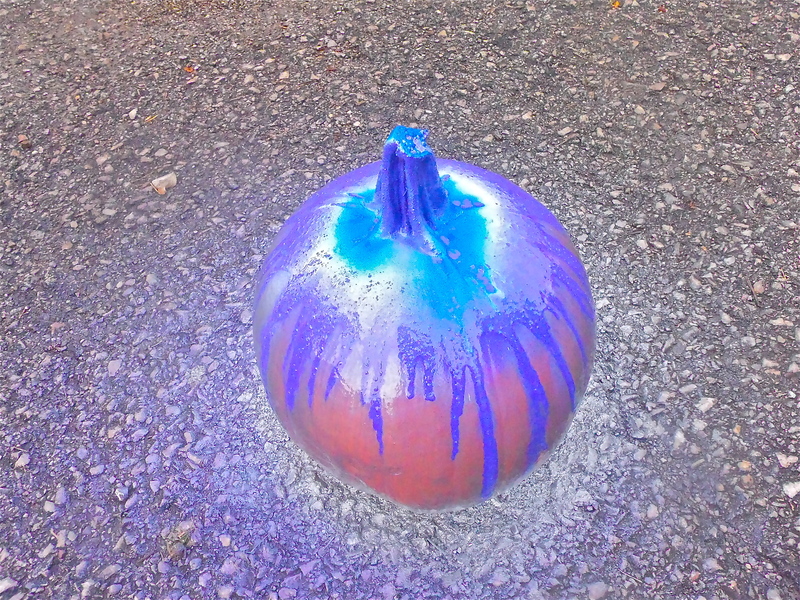 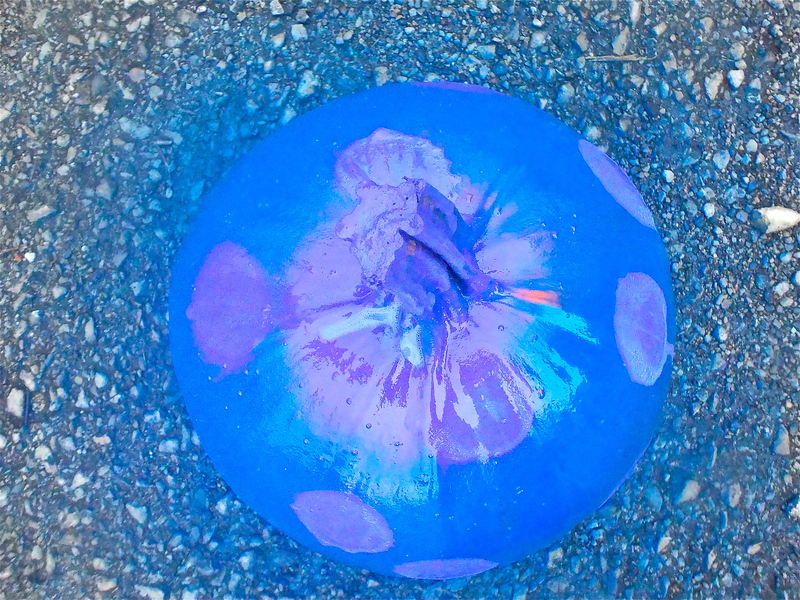 It was fun to try new materials and to explore what happens using them with organic mediums like pumpkins. 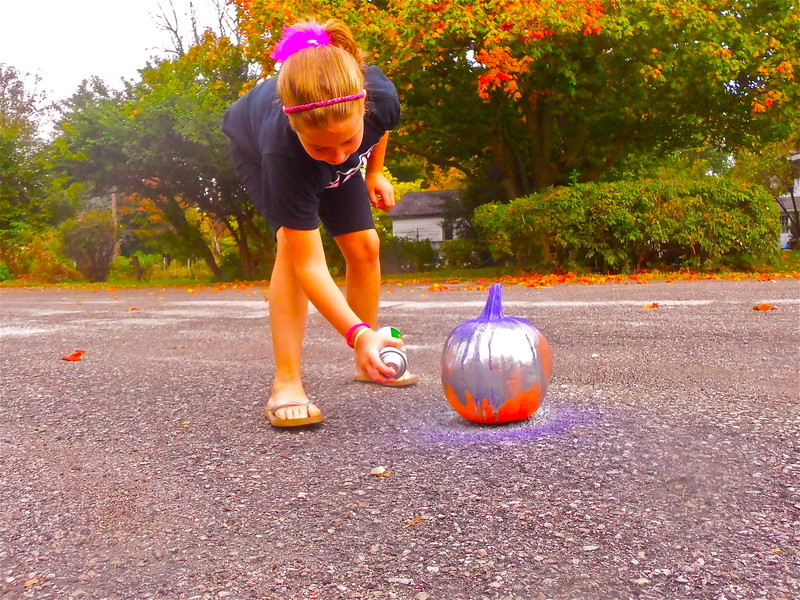 Everyone was happy with their pumpkin masterpieces. 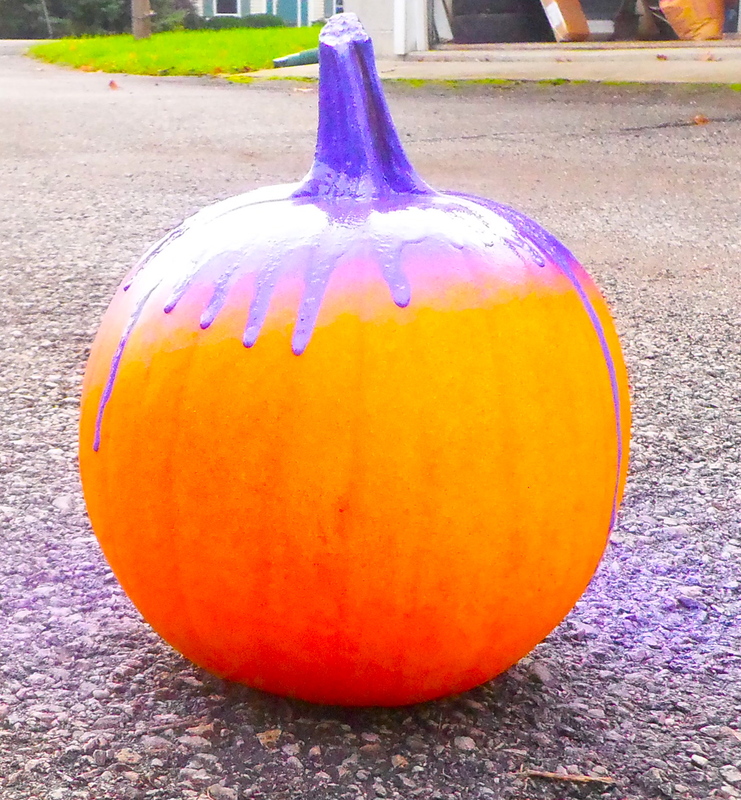 Everyone’s pumpkin had a unique look. 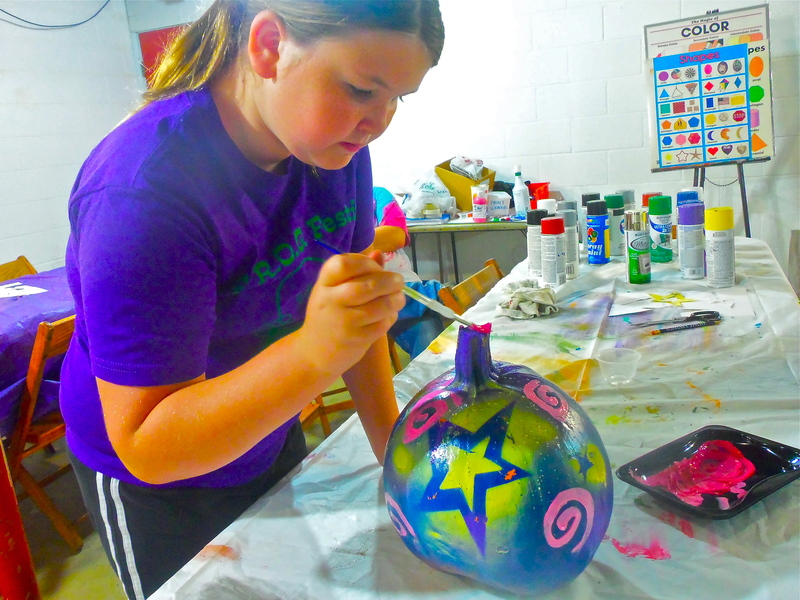 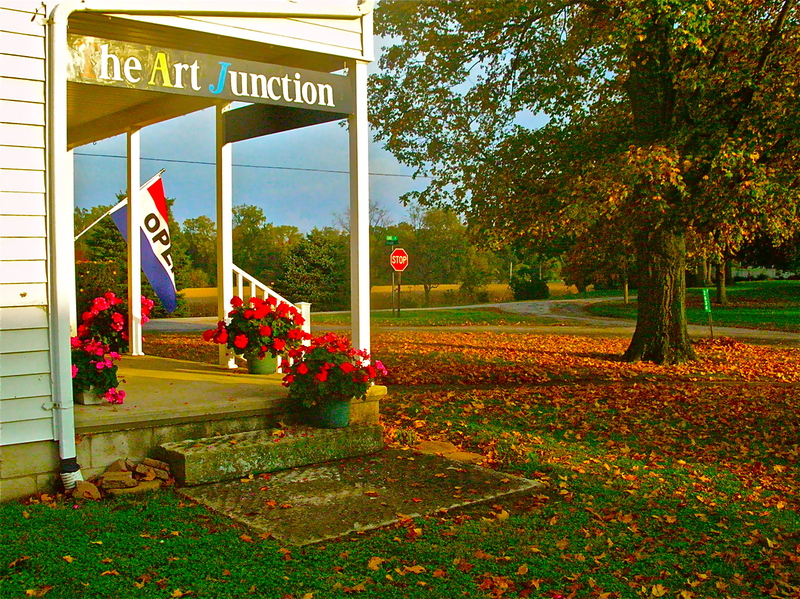 If you were unable to join us this year for pumpkin painting maybe you can attend an upcoming workshop, class, exhibit or event at The Art Junction. 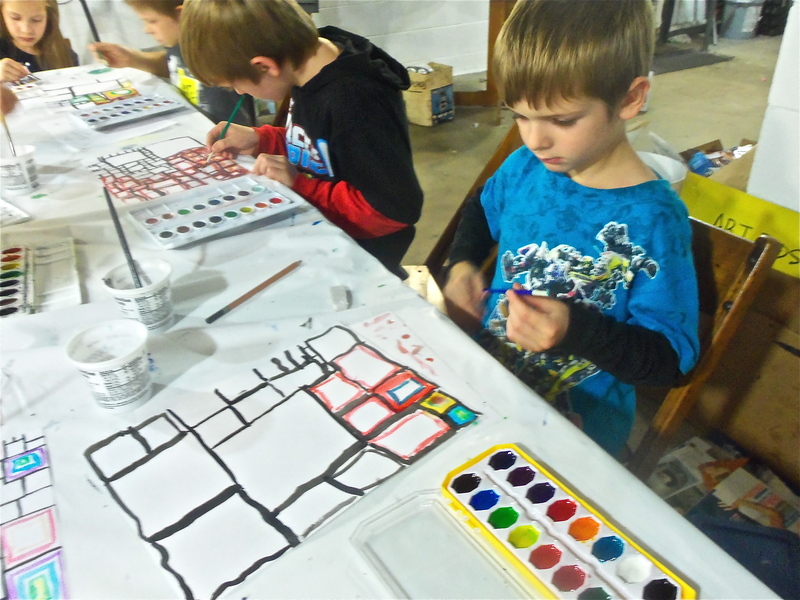 2 days of Painting, Drawing, Sculpture, Clay & Creative Explorations! 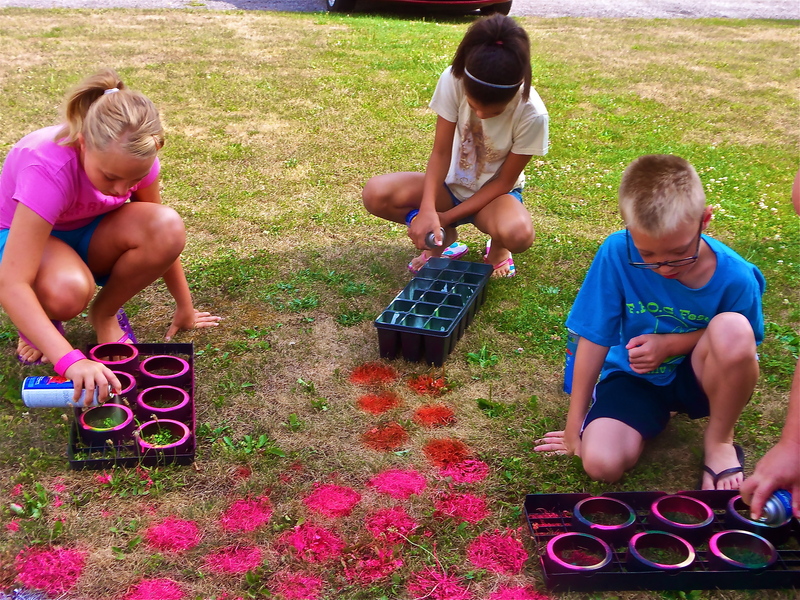 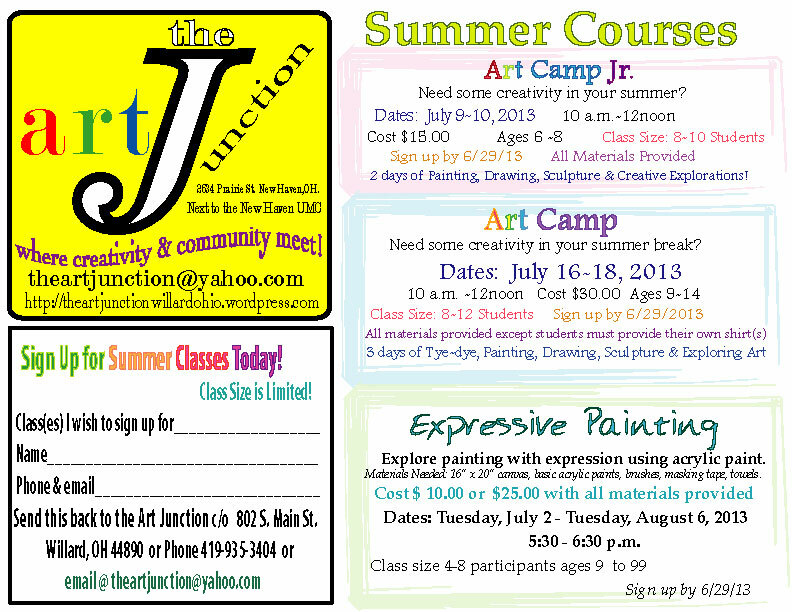 Need some creativity in your summer break? 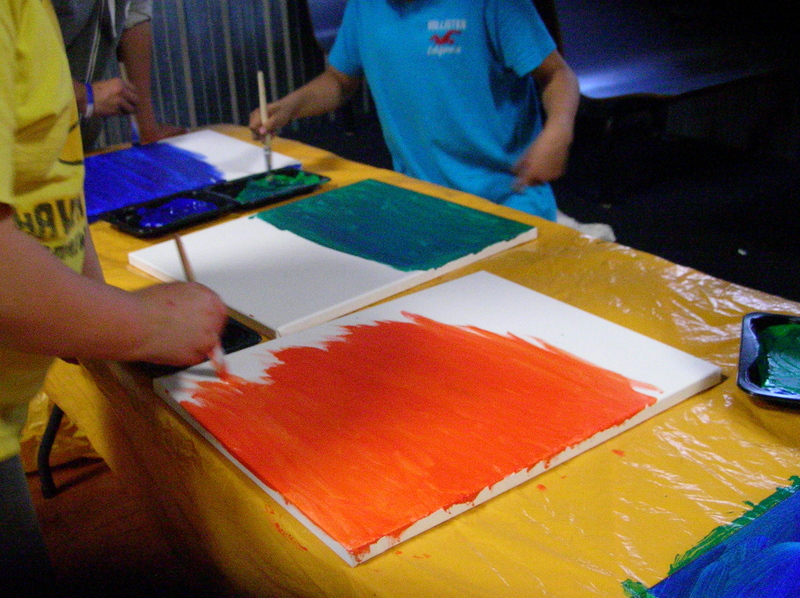 Materials Needed: 16” x 20” canvas, basic acrylic paints, brushes, masking tape, towels. 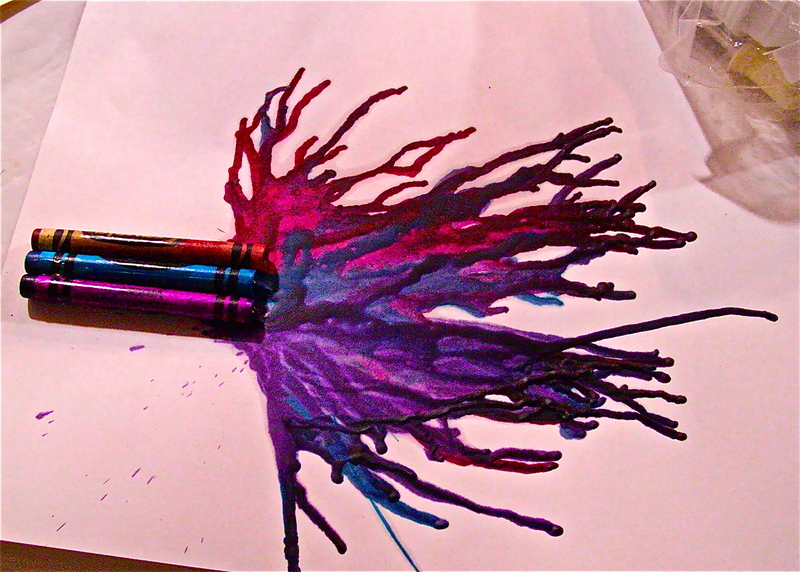 The Art Junction had a fun workshop called Crayon Explosion. 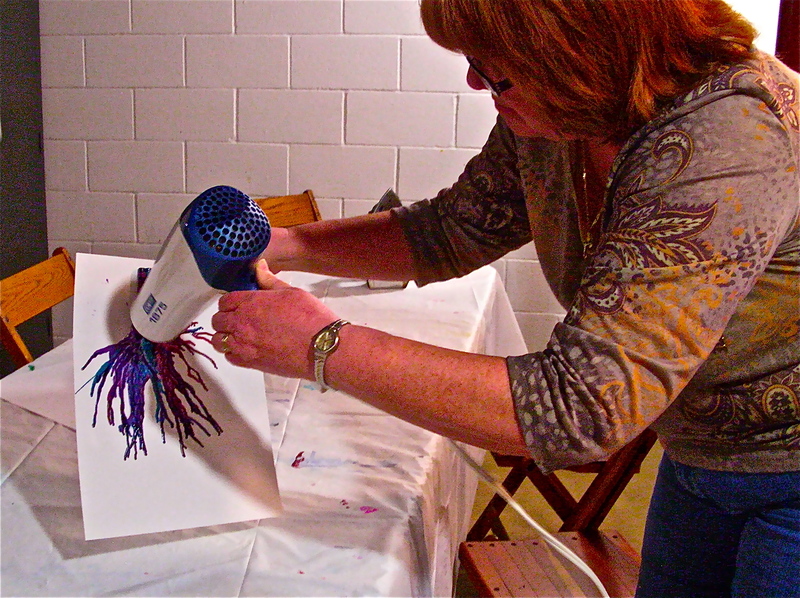 Participants enjoyed exploring many different methods of using crayons in new and unusual methods. 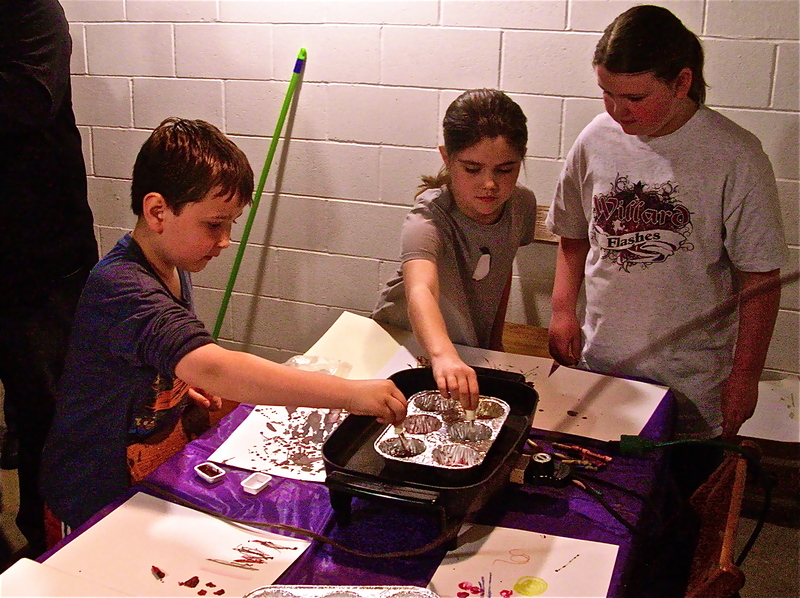 Learning to melt crayons was lots of fun for all. 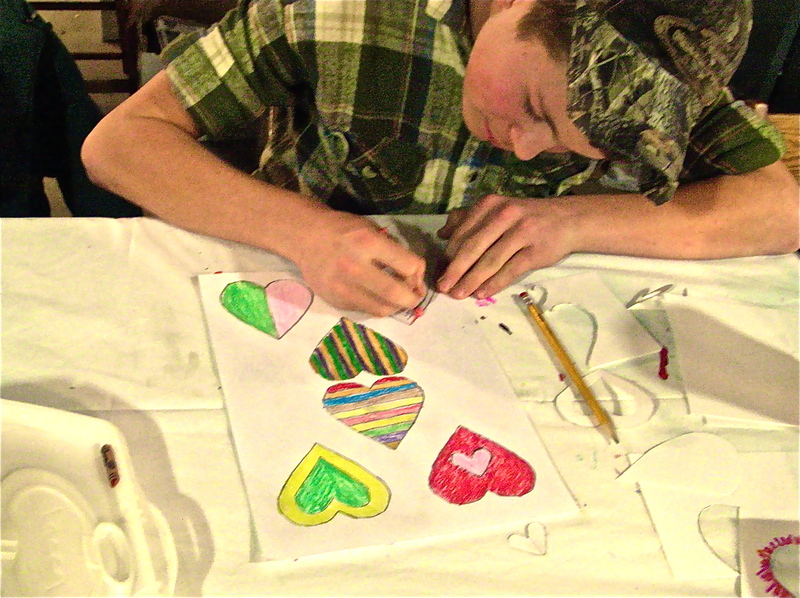 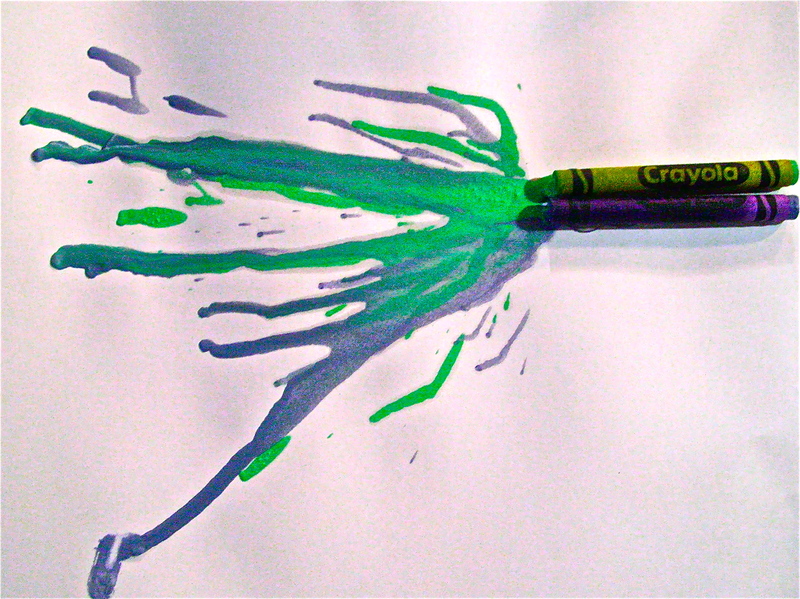 Painting with crayon was another fun experiment for everyone as they learned to draw with a warm, soft crayon. 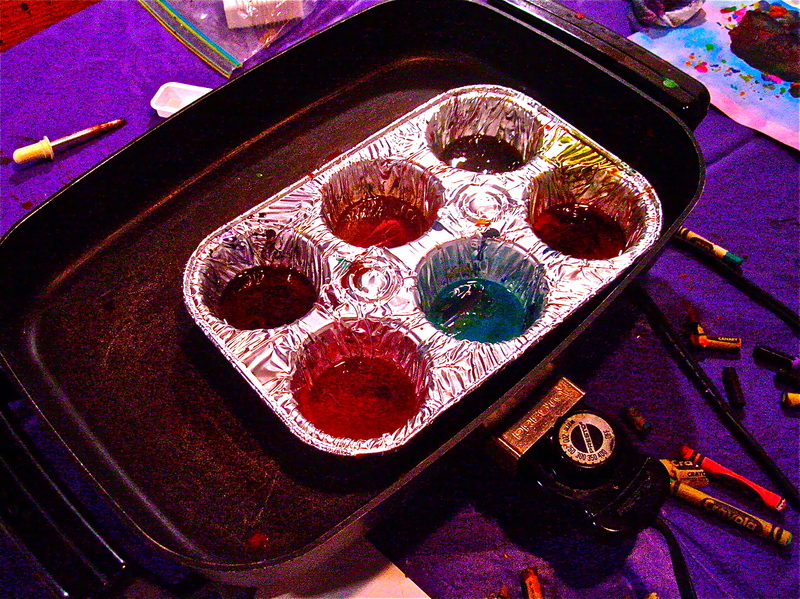 We also created crayons from what was left melted in the muffin tin. 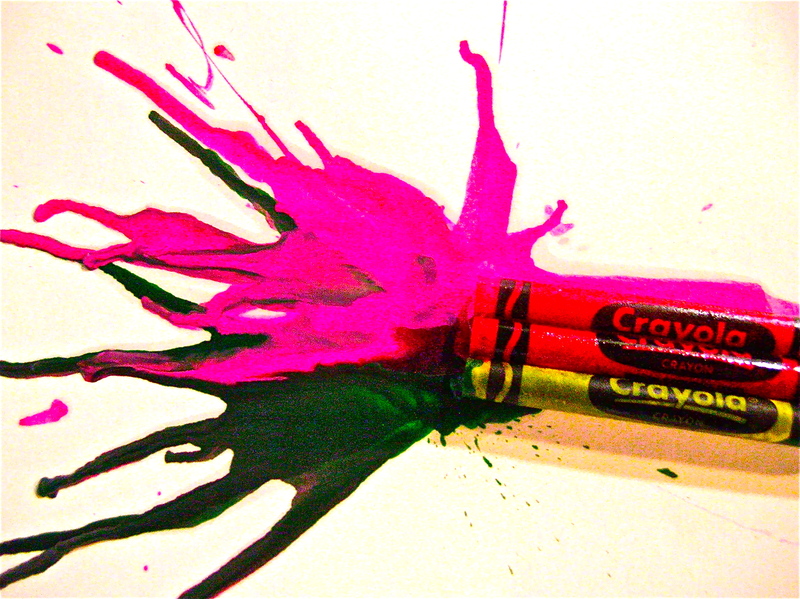 Crayon shavings were also used to create melted images with the iron. 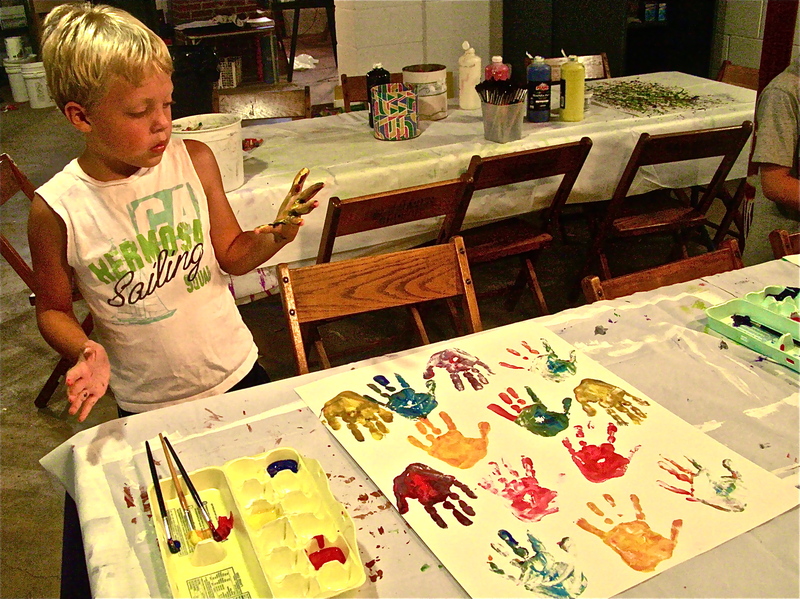 Lots of fun accidents and explorations were had by all participants. 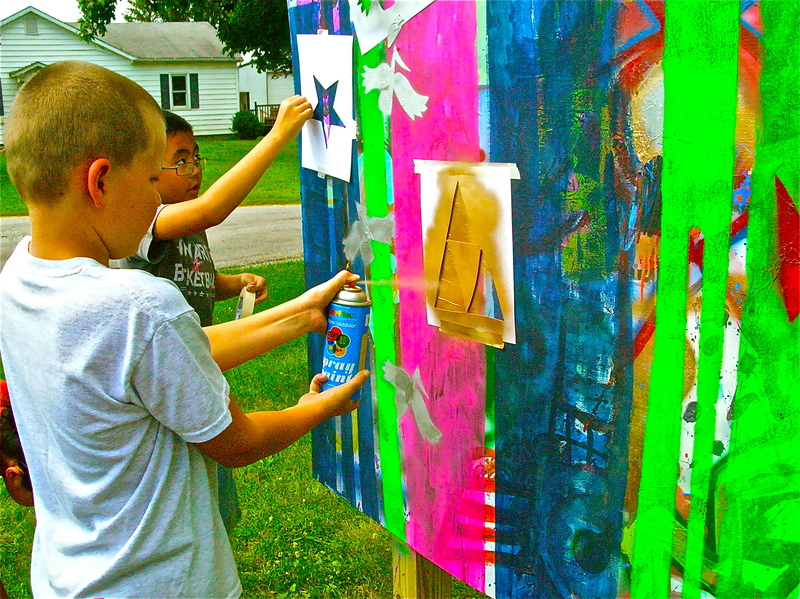 Working together everyone explored this somewhat familiar medium. 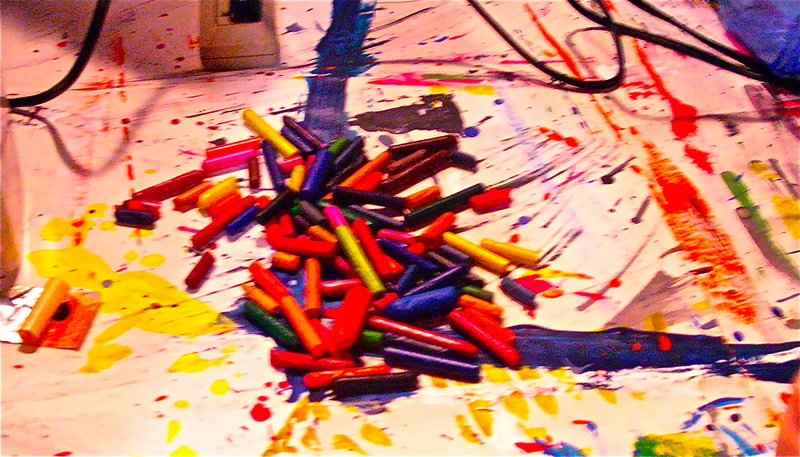 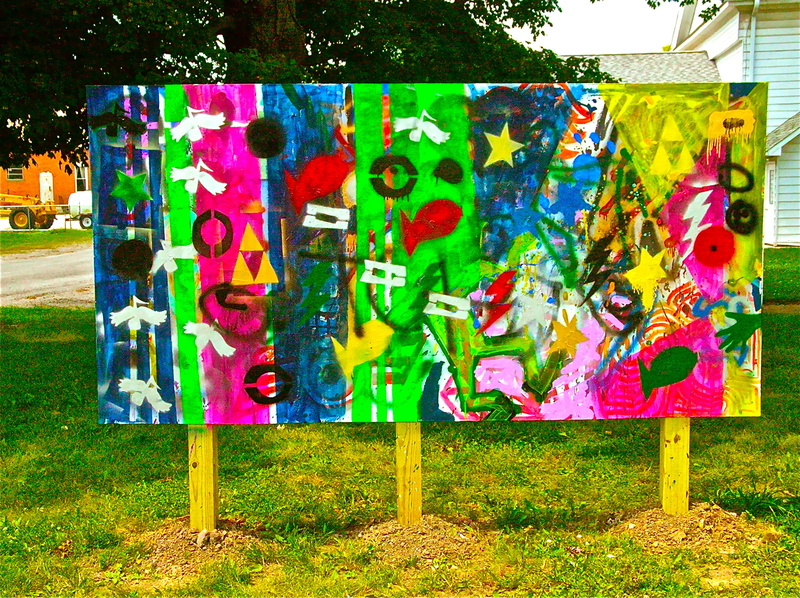 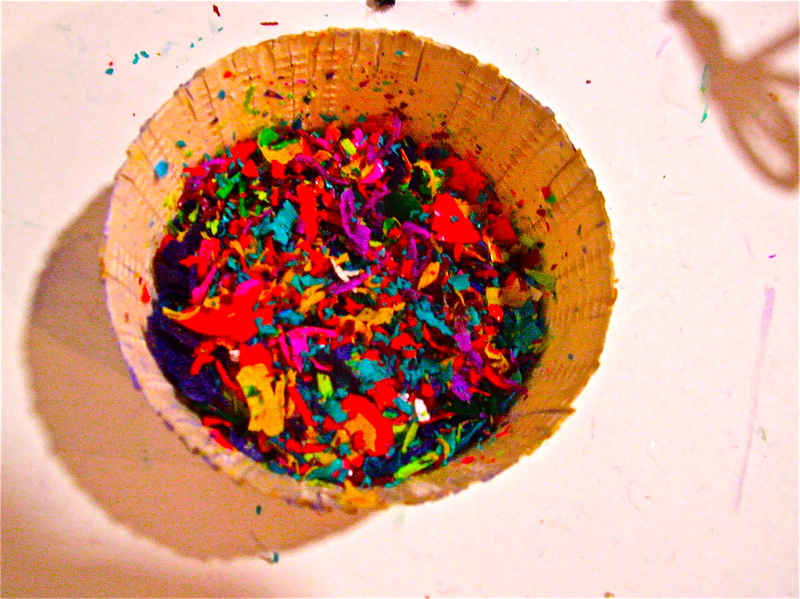 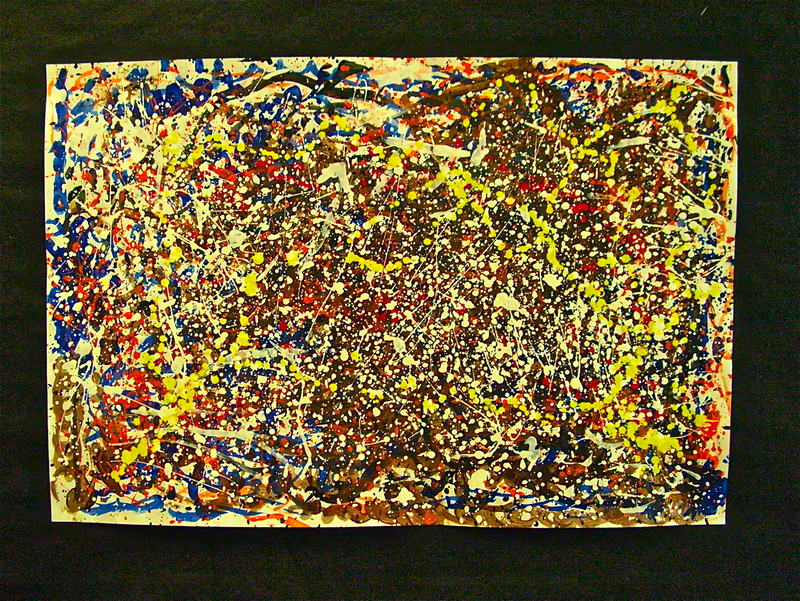 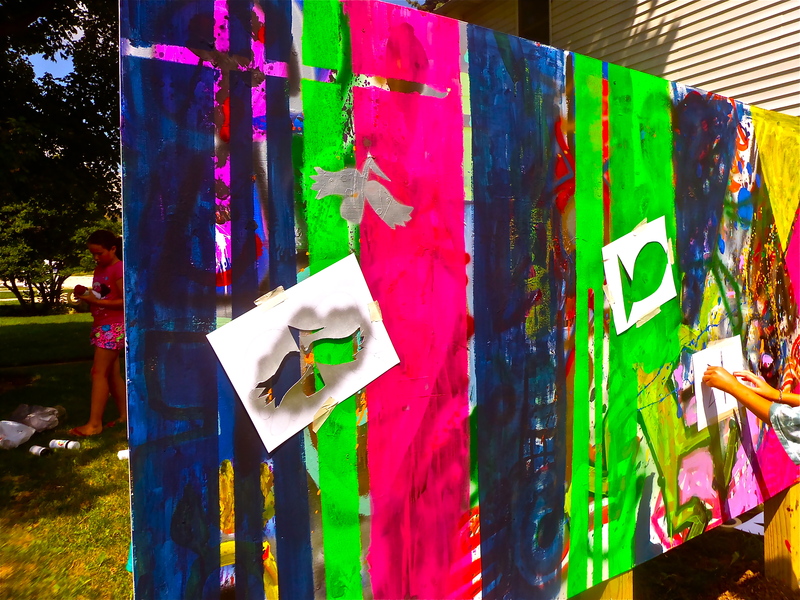 Maybe you can join us for our next crayon explosion session in the future at the Art Junction. 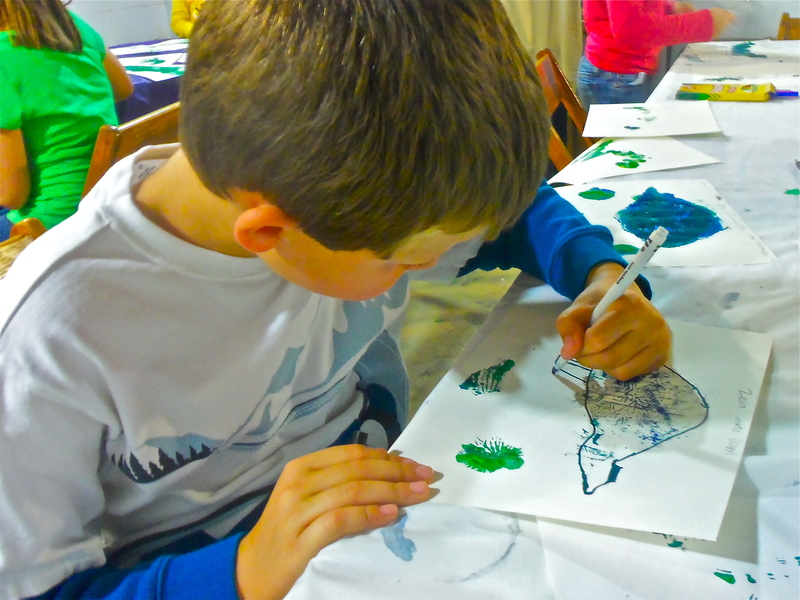 This week we again focused on the fun in drawing. 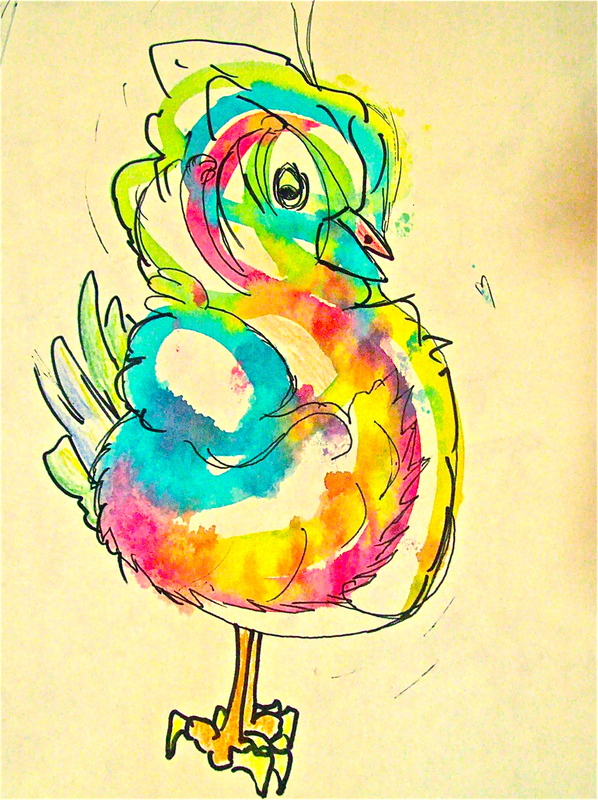 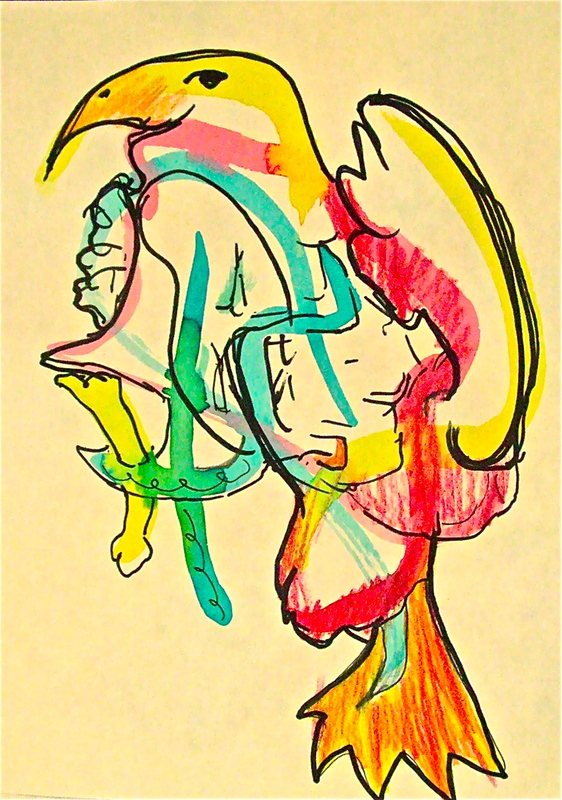 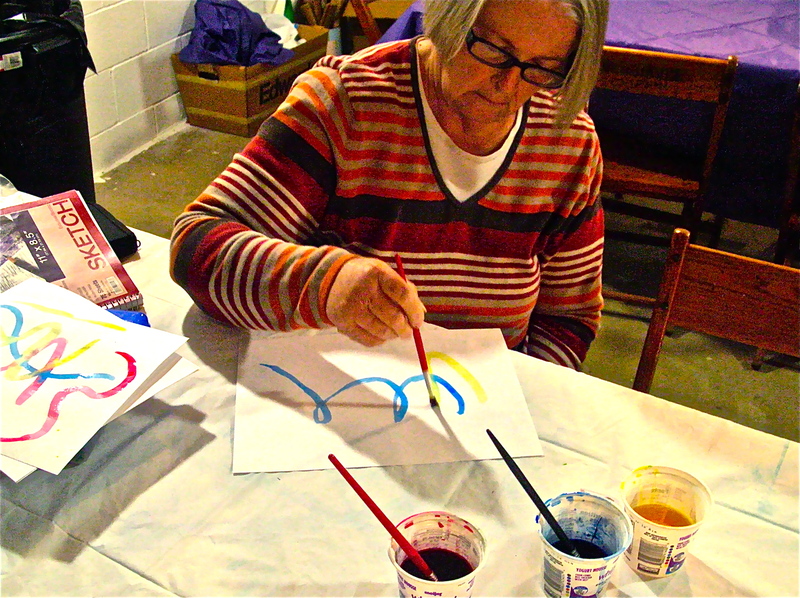 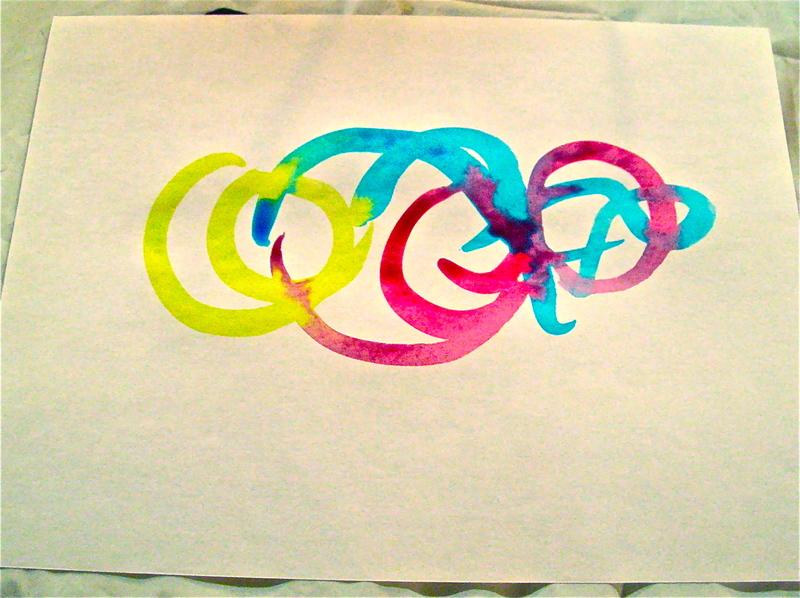 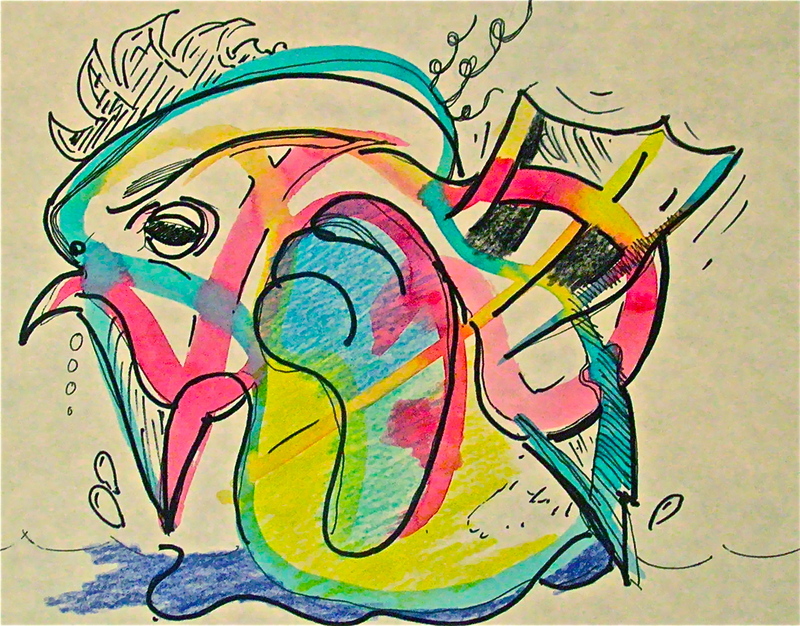 Beginning with some watercolor lines and squiggles, participants began the experimentation into artistic discovery. 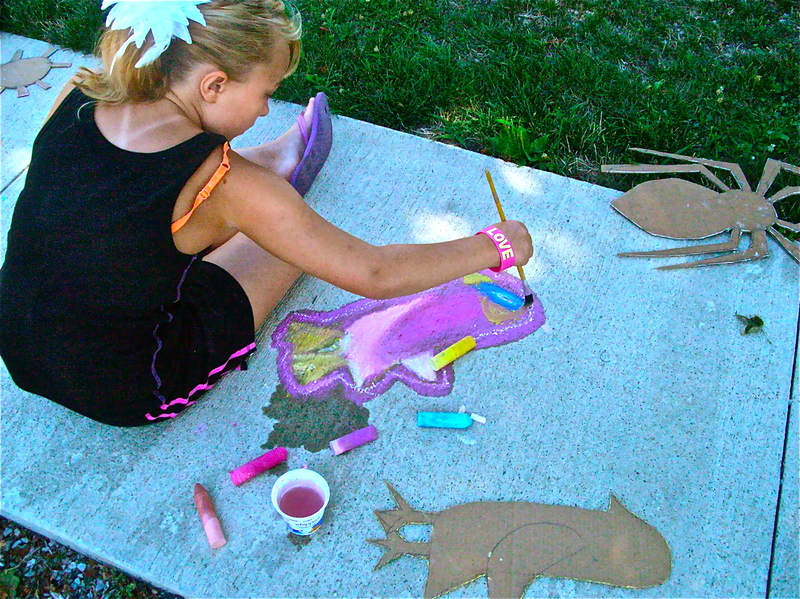 The next step was to find some line, pattern or design to begin the process. 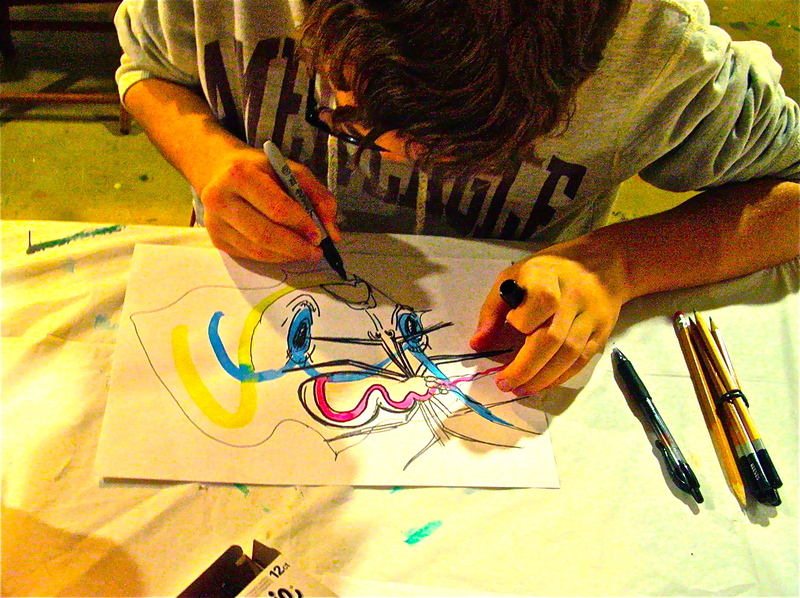 Participants began to add pencil, pen and marker to their watercolor lines to develop an imaginative image. 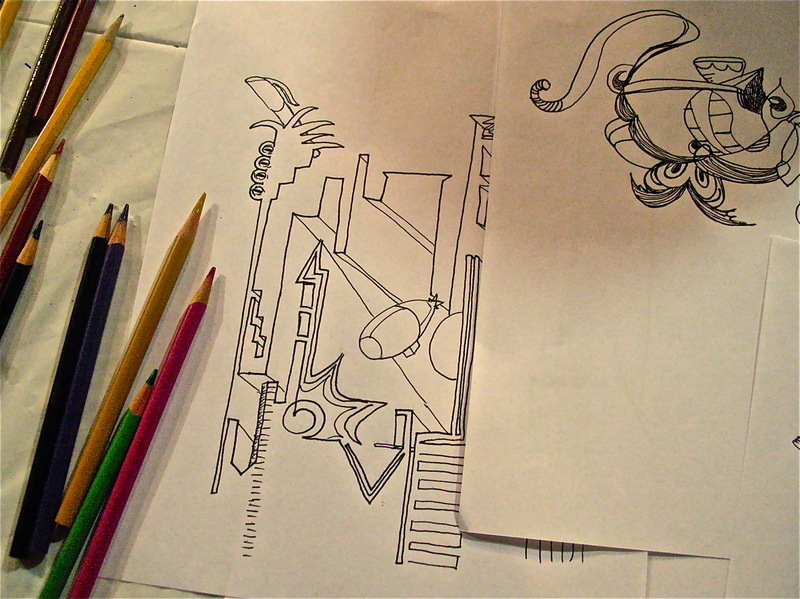 This fun exercise, although challenging, encouraged the creative juices to flow. 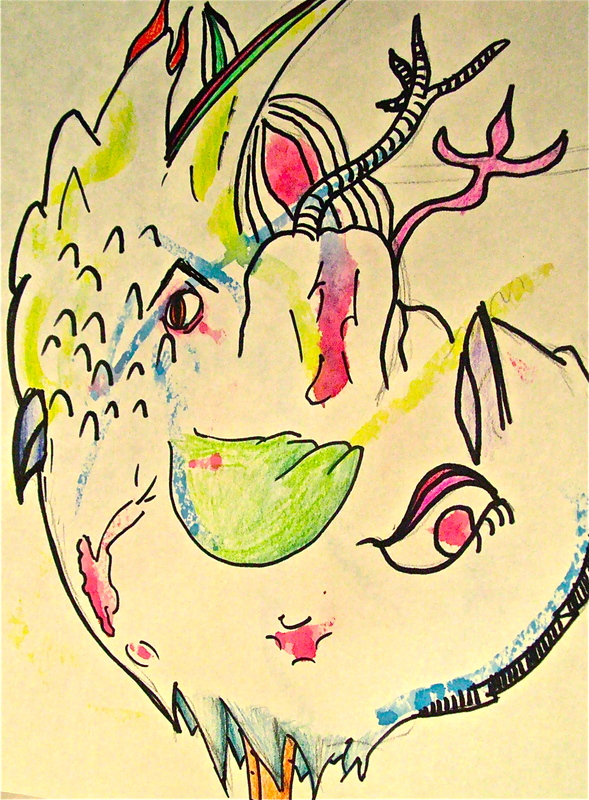 It was fun to build off of others’ ideas and to begin with a few random strokes of watercolor. 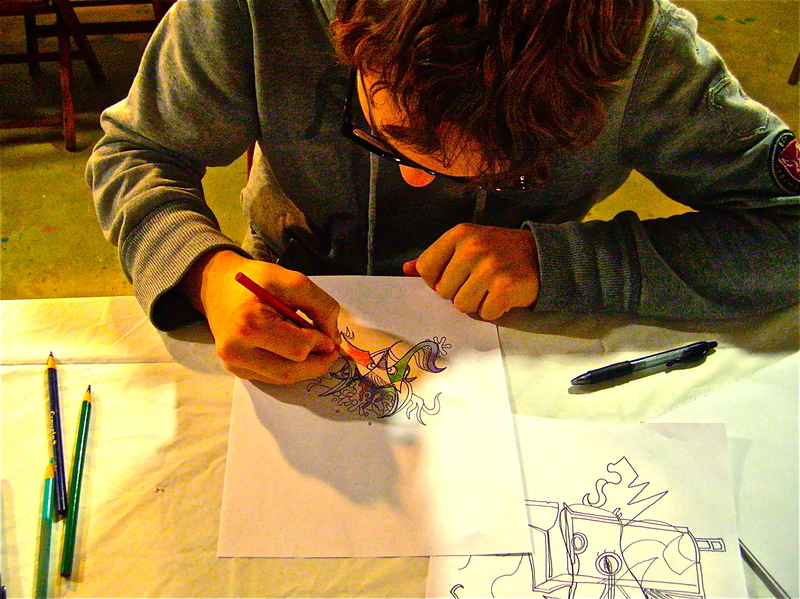 If drawing scares you…maybe you need to come to the drawing lab to let your creative self loose! 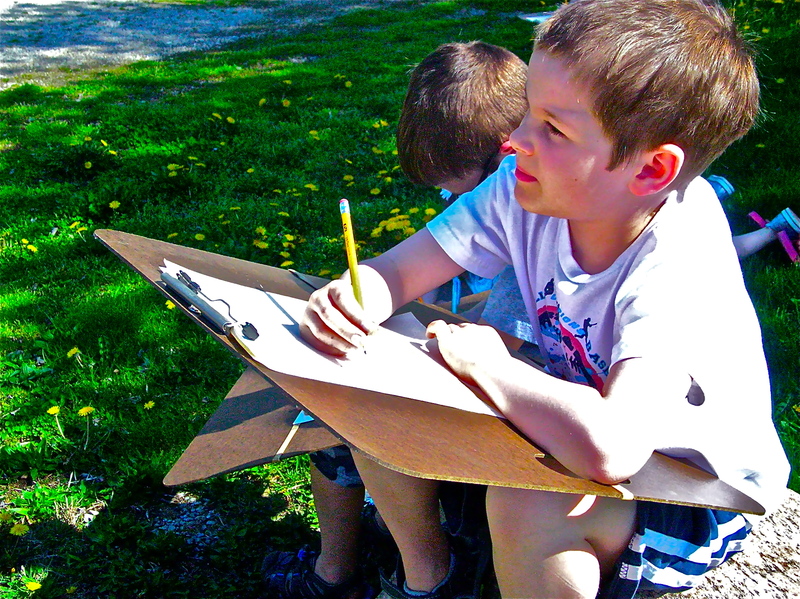 Drawing Lab began last week with a session of exploration and imagination. 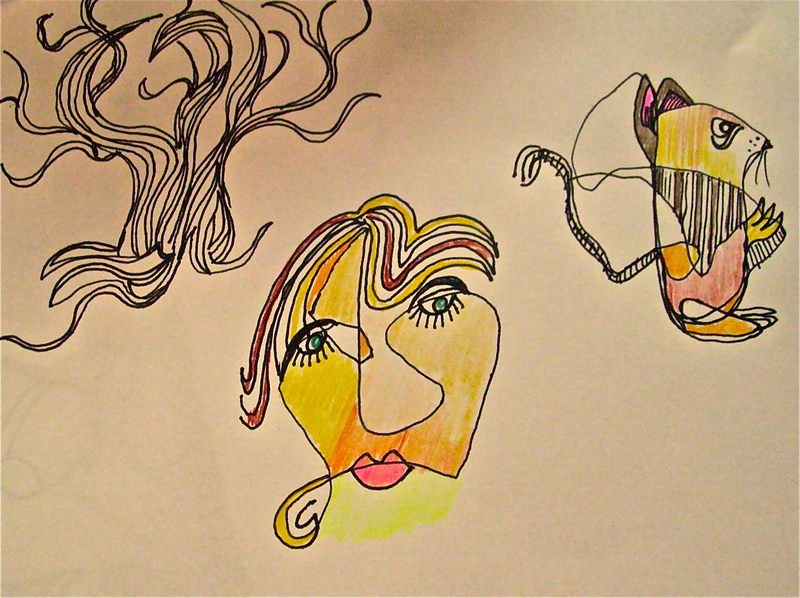 Using lines and scribbles as a beginning point participants were looking to have fun with the drawing experience…following the creative trail on its imaginative journey. 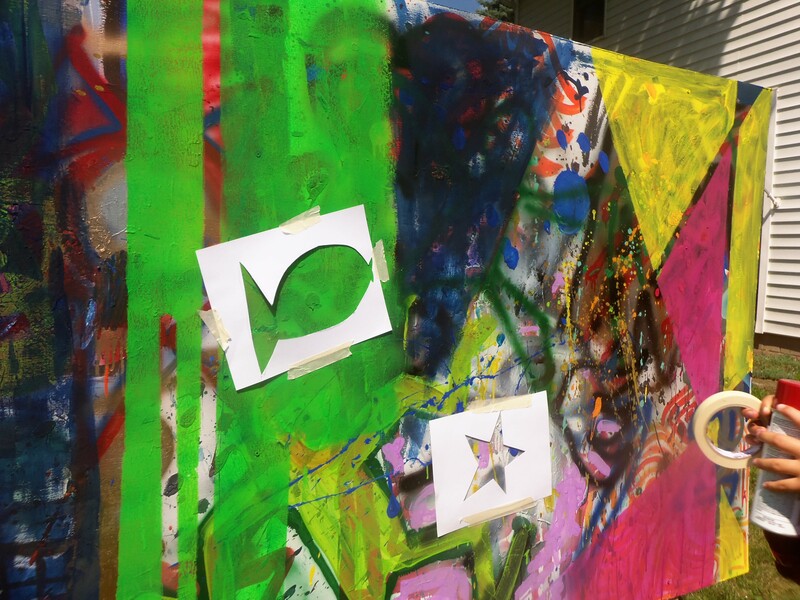 Curious images appeared from various collaborations. 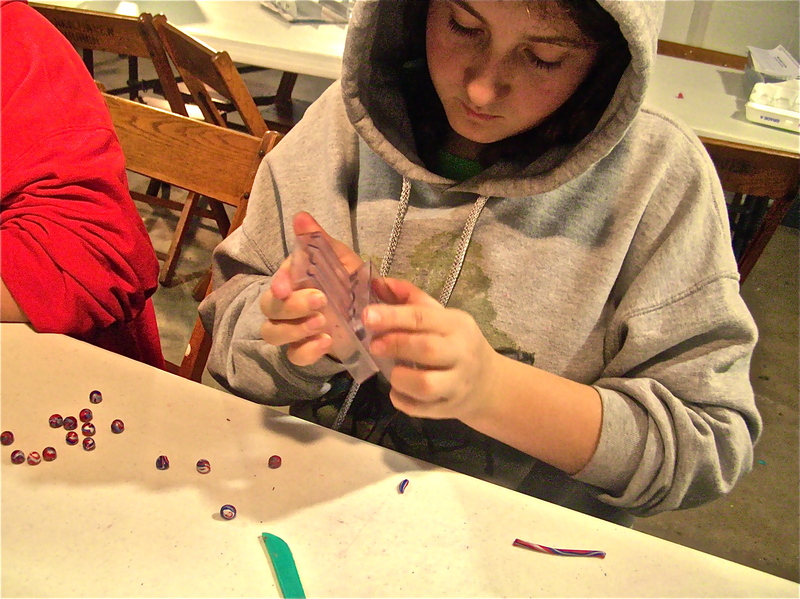 Simple tools were used as a fun time of creative exploration was embarked upon. 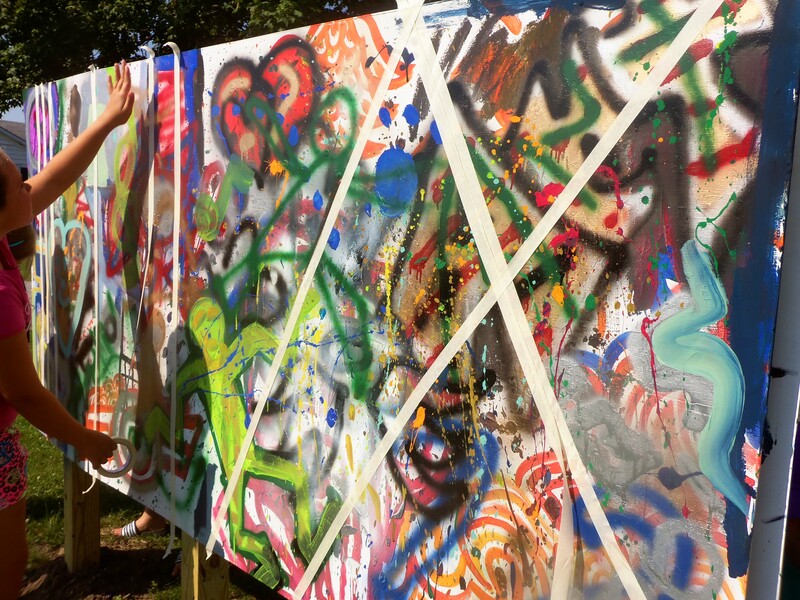 Wish you could have joined in the fun…maybe next time! 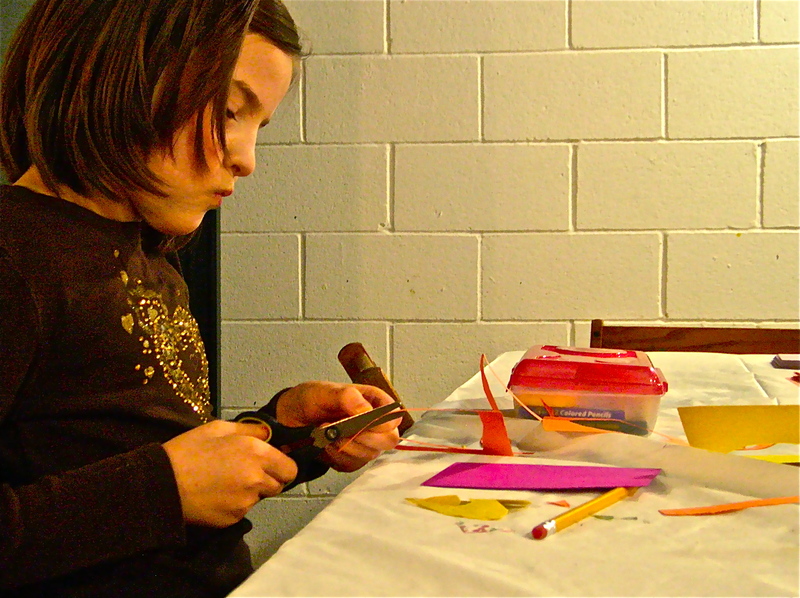 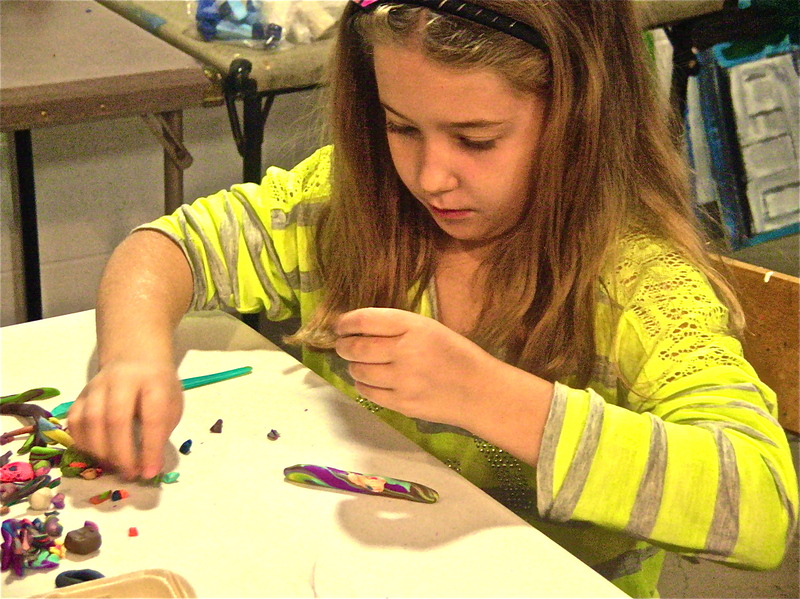 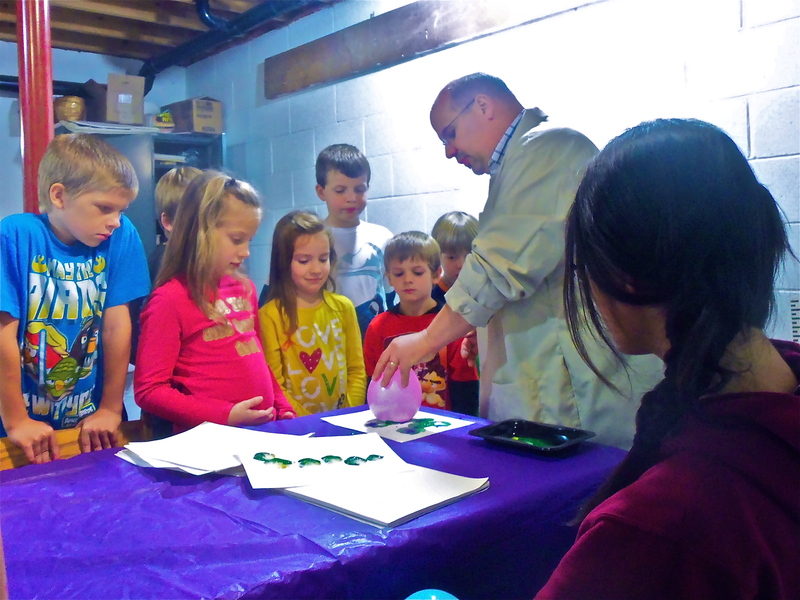 On Saturday, November 3, the Art Junction held its first bead workshop. 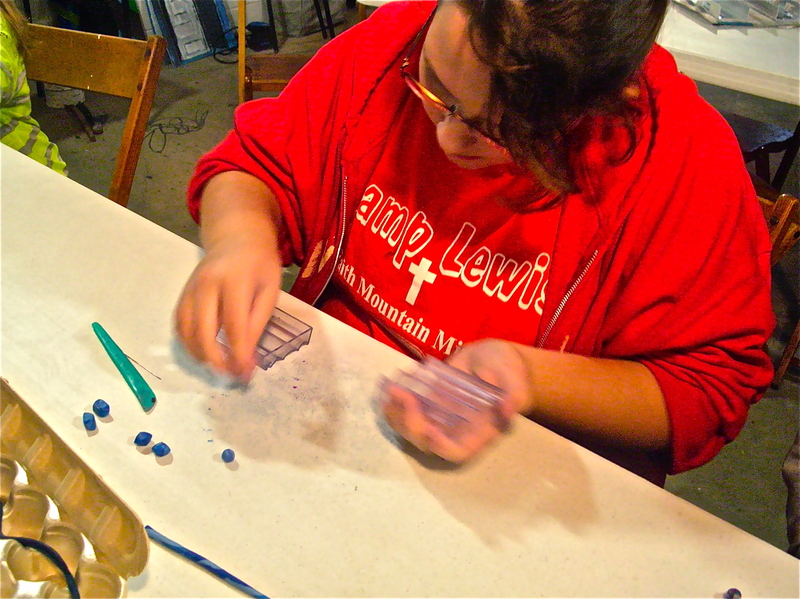 Participants explored creating clay beads from Sculpey polymer clay. 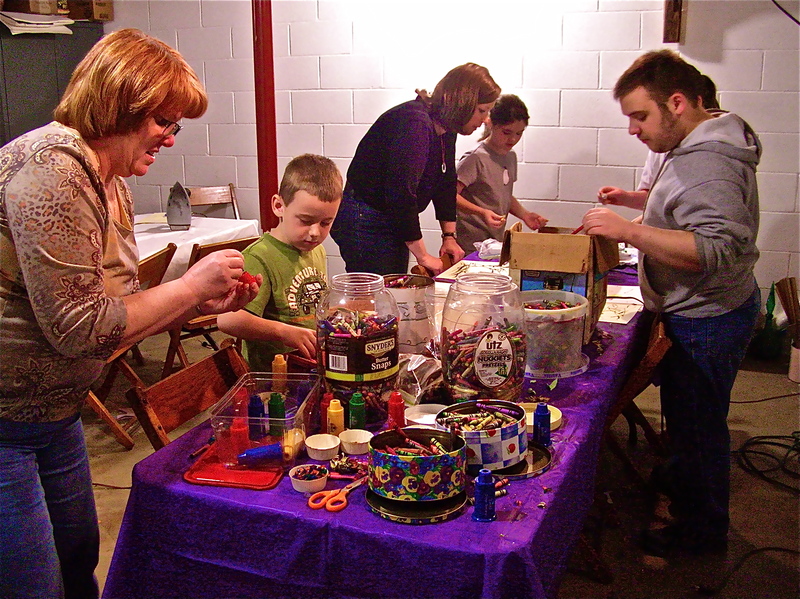 Exploring was the name of the day as everyone discovered colors and mixing techniques as well as different types of beads to create. 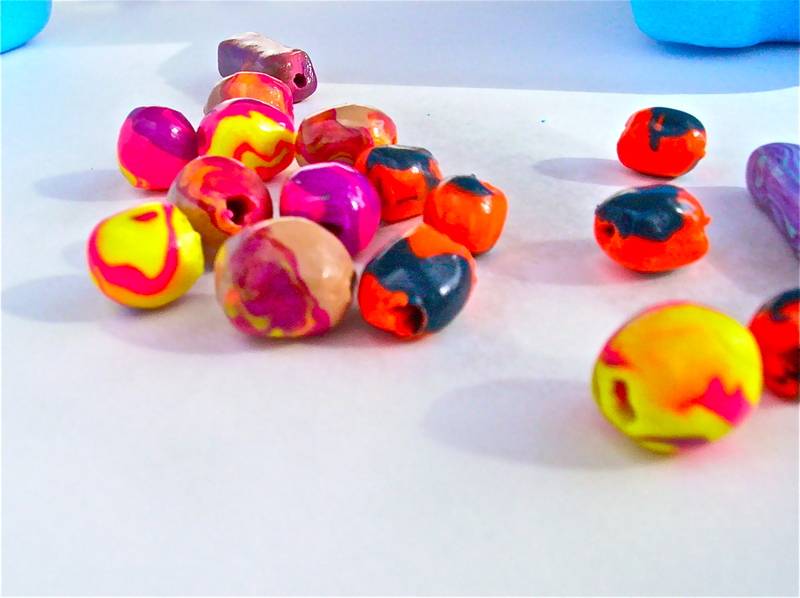 For most of the participants this was a first experience with creating clay beads; everyone learned new techniques and everyone was surprised by how quickly two hours passed for the workshop. 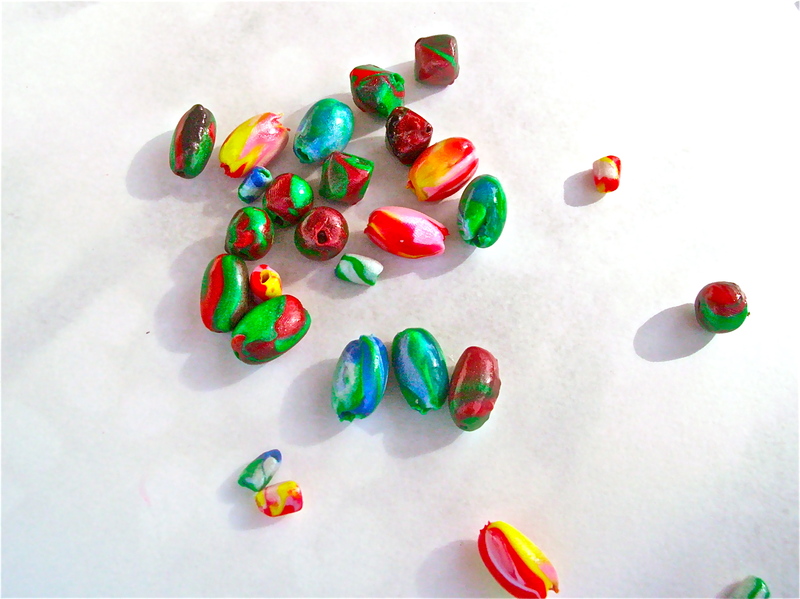 Here are some examples of the beads created on Bead Day.